This was a product I had always seen but had never tried before. I honestly did not think it worked. There is a video on the website that shows you what to do. First you cleanse your skin. Then you take a patch that is appropriately shaped for the area. Spray it with the Rose Water Hydrator Spray that you can purchase separately or together with the Frownies Patches. Separate out the wrinkles you want to get rid of. Then apply the patch and leave it on for at least three hours. When you take it off the wrinkles will be gone and you will be happy. They reason that the wrinkles go away because you are spreading out the skin on the muscle and allowing it to create new skin cells. 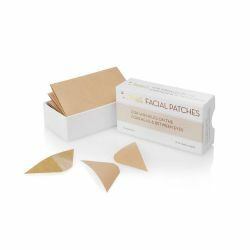 Over time this will create new cells in the area of the wrinkle that fills the wrinkle. Frankly all the skincare knowledge I know about does not make sense of this. All of this is only temporary. With Frownies the results will only be temporary. Not permanent. You cannot grow skin cells in a wrinkle in this fashion. Collagen can be regrown and can smooth out a wrinkle with the addition of AHAs smoothing out the wrinkle. Over time the wrinkle can become decreased because of this but will not disappear completely. It just can't be done. Frownies Hydrating Spray compliments the pH balance of the skin, helps reduce the appearance of pore size, and plumps fine lines and wrinkles. Rose Water from essential oil of rose is an antibacterial wrinkle treatment and helps prevent blemishes on the skin. The anti-aging benefits of the rosewater and hyaluronic acid are a wonderfully refreshing pick up after exercising, during air travel or anytime a warm dry environment threatens to dehydrate and age your skin. 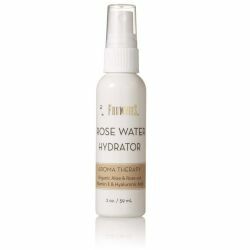 Frownies Rose Water Hydrating Spray can be used throughout the day to refresh the face and neck or as a anti-wrinkle treatment. Carry it in your hand bag and freshen the face as needed. Frownies Rose Water Spray was created to enhance the effectiveness of Frownies Facial Patches (FBE) & (CEM). Rose Water Hydrating Spray is used to add a treatment to the skin and activate the back of the night time Facial Patches. Rose Water Spray will also keep the Under Eye Patches moist and active for storage and repeat use. Frownies are available at various mass market places such as Bed. Bath and Beyond. Like Frownies on Facebook: https://www.facebook.com/thefrownies; Follow Frownies on Twitter:@thefrownies; Follow Frownies on Pinterest: https://www.pinterest.com/frownies/; Follow Frownies on Instagram: https://www.instagram.com/frownies/ and Subscribe to Frownies on YouTube: https://www.youtube.com/user/frownies4u.